Meet Blythe. She’s just a regular girl. She loves fashion. She loves her friends. And did we mention that she has the ability to talk to animals? Good thing this secret gift makes her a perfect fit for The Littlest Pet Shop! 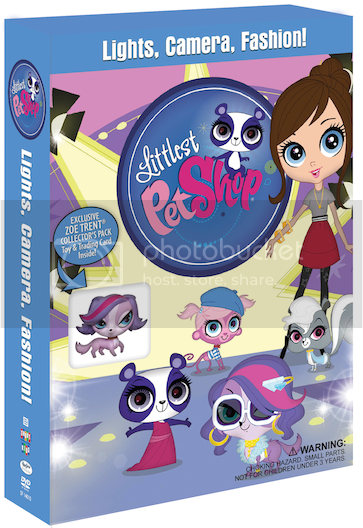 Blythe and her very best friends — Zoe the spaniel, Pepper the skunk, Sunil the mongoose, Russell the hedgehog, Penny the panda, Vinnie the gecko and Minka the monkey — for fashion-filled fun in Littlest Pet Shop: Lights, Camera, Fashion! In this clip, Penny the Panda walks her first red carpet. 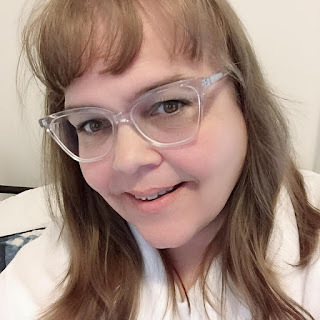 Will the fame go to her head? In addition to five off-the wall adventures, Littlest Pet Shop: Lights, Camera, Fashion! also comes with a collectible Zoe toy and trading card.